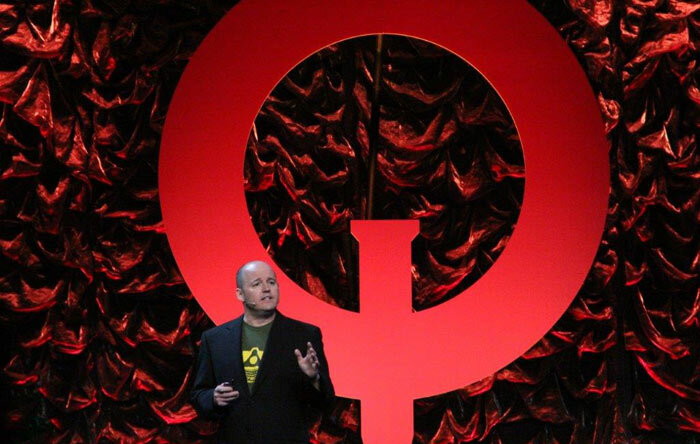 Bethesda has shared an outline of its QuakeCon 2018 schedule. In all the event is set to run from 9th - 12th August and centres on the facilities of the Gaylord Texan Resort and Convention Center, near Lake Grapevine. The event will feature competitive eSports tournaments in Bethesda games such as The Elder Scrolls: Legends, and Quake Champions with players taking home prizes of tens of thousands of dollars. Another important part of the conference will be staged new game reveals and game update discussions. The first of the major activities planned 'for the Con' is The Elder Scrolls: Legends Masters Series. By the time of the event there will be just sixteen of the best Legends players in the world left to compete at the Gaylord Texan for their share of the $50,000 prize pool. On Friday the event will host the QuakeCon Open where some of the best eSports players in the world will battle it out in 2v2 for their share of a $175,000 prize pool (top prize $25,000). A keynote address will also be a big part of Friday's schedule. A big reveal is promised, showing gameplay of DOOM Eternal with two id Software execs. Updates are planned for games such as Quake Champions, RAGE 2, and The Elder Scrolls Online too. On Saturday Todd Howard and other key personnel at Bethesda Game Studios will take fans through a deeper dive into character systems and perks coming in Fallout 76, followed by a Q&A session. All of the above will be watchable at www.twitch.tv/bethesda. As we mentioned DOOM above, I thought I could shoehorn the news of a free-to-download ASCII version of DOOM becoming available. 1337d00m is available now, and weighs in at approx 65MB. There are versions for Windows (32- and 64-bit), Mac and Linux. 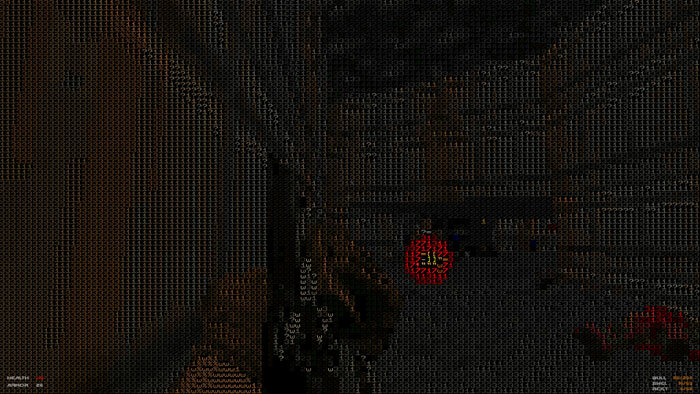 Instead of 2D sprites and 3D environments, 1337d00m uses ASCII characters to represent the DOOM world.